An enforced film journal hiatus due to broadband limitation meant that the previous two weeks viewing has been mainly the re-watching of DVDs (the excellent Spaced) and one cinema trip, to see the intimate and frustrating The Closer We Get, left undocumented here. Since Internet connectivity has now been restored, a fuller reflection on the week’s screenings is possible, and happily, there’s a lot of viewing to reflect on. Take One Action Film Festival, which challenges its audiences to, ‘’See the change you wish to be in the world’’ opened on Wednesday 16 September with The Price We Pay, a documentary from Harold Crooks, the writer/director of Surviving Progress and a writer on The Corporation. 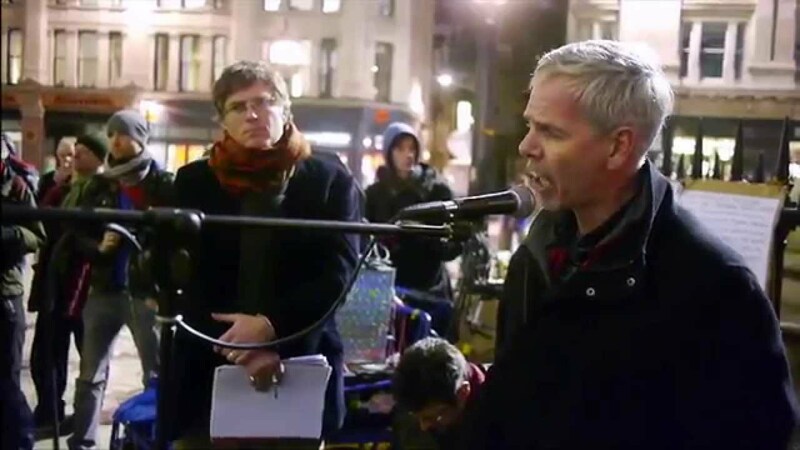 Crooks’ new film focuses on the global financial system, with particular critique of The City of London’s financiers and off shore tax havens. Bringing together a wide spectrum of experts in tax law, sociology, politics and finance, The Price We Pay takes the form of a mostly talking heads structure, that was notable for the predominance of white, middle-aged men providing expert opinions. Though a fascinating insight to the loop holes of corporate finance and tax avoidance, and certainly demonstrating an appropriate outrage as the opener of T.O.A, there was nevertheless something dry and un-cinematic about Crooks’ approach, which lessened its power somewhat. At T.O.A it’s the issues that matter however, and a post-screening discussion moderated by Artistic Director Simon Bateson, with Alvin Mosioma, the Director of Tax Justice Network – Africa, Chris Hegarty of Christian Aid and the head of Oxfam Scotland, Jamie Livingstone, ignited and informed a passionate audience seeking just the kind of answers and insight that the festival encourages. Justin Simien’s Dear White People, about the experience of four black students at an Ivy League college in the US, was pertinent and witty, tackling issues of blatant, hidden and institutionalised racism. Tessa Thompson leads the cast as Sam White, the daughter of a mixed-race couple who hosts the titular radio show, exposing the hypocrisy of the school’s inclusive policies and segregated housing, whilst also coming to terms with her own repressed intolerance. 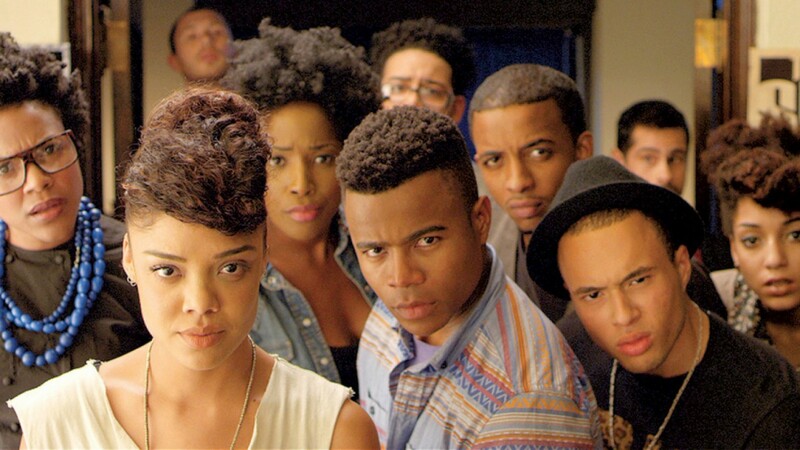 Writer/Director Simien has created a dense, necessary but very funny examination of the US college system, and the epilogue documenting actual instances of blatant racism within it, is the shock that demonstrates how necessary Dear White People is. Elsewhere, the latest Woody Allen film, Irrational Man, starring Joaquin Phoenix and Emma Stone as professor and student of philosophy respectively, striking up ‘friendship’ and more whilst grappling with the morality of murder (a nod to Hitchcock’s Rope) was laboured yet somehow engaging. Both performances were excellent, as was Parker Posey as Phoenix’s colleague and lover, and watching such enthusiasm on screen provided a lot of the film’s enjoyment, but too many of the scenes were repetitive and the score just as much. Despite this, I got caught up in the drama of how Phoenix’s morally compromised professor would resolve his plight. So far, so high school, but I couldn’t help but be caught up in the turmoil and fun of this trio’s antics, probably because everything in the film is so damn charming and sympathetic. Gregg’s arc is to go from self-involved wannabe loner to authentic friend and though this at times is signposted too heavily by music cues and adorable stop-motion animation, there’s enough real poignancy from cast across the board to create genuine feeling. Offerman and Britton might be a bit slight in their characterisation, but Molly Shannon as Rachel’s mother brings an engaging desperation to her performance that is pitched just between funny and tragic. I can imagine my teenage self being deeply moved by Me and Earl and the Dying Girl, but that’s not to say my adult self didn’t shed a tear at the film’s inevitably heartrending end. The Angels’ Share, Dir Ken Loach. Girlhood. Dir. Céline Sciamma, Horse Money by Pedro Costa – watch this space for reviews/future on articles on both. Now you can ‘like’ the Cinematic Investigations facebook page. Feel free to do so, to the right of this post.